If you want to make a difference in the world but don't have extra cash to give, consider donating your credit card rewards. Credit card companies have made it easier to donate both money and rewards points with your credit cards, particularly since the devastating earthquake in Haiti in January 2010. For every 1,000 rewards points you redeem for charity, American Express donates $10. The American Express MembersGive Web site lets you choose the charity to which you want to donate, check your rewards point balance, and select how many points you wish to redeem in 1,000, 5,000, 10,000 and 100,000 point increments. Capital One partnered with Network for Good and Guidestar to develop the No Hassle Giving Site to give card holders an easy way to donate to their favorite causes. Network for Good processes donations and disburses money to charities, and GuideStar provides a database of U.S. public charities that are registered with the Internal Revenue Service. To donate rewards, log into your account to get a rewards summary and call the credit card company's reward center with any questions. You can redeem Citibank's ThankYou Network rewards points for a special charity gift card that lets you donate to any charity you wish through the GiftBackCard.com site. You can also donate points through the Citibank Web site to the American Red Cross, ARC Disaster Relief Fund, ARC International Response Fund and the American Forests Plant a Tree Program. If you're a Bank of America credit card holder, you can donate your WorldPoints Rewards and Power Rewards to the Red Cross as well as to other charities, such as the Make-A-Wish Foundation and the World Wildlife Fund. 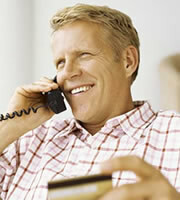 Log onto your credit card account or call the customer service number for more information. Credit card companies advise you to check with your tax advisor about whether rewards donations are tax deductible. 0 Responses to "Making a Difference With Credit Card Rewards"